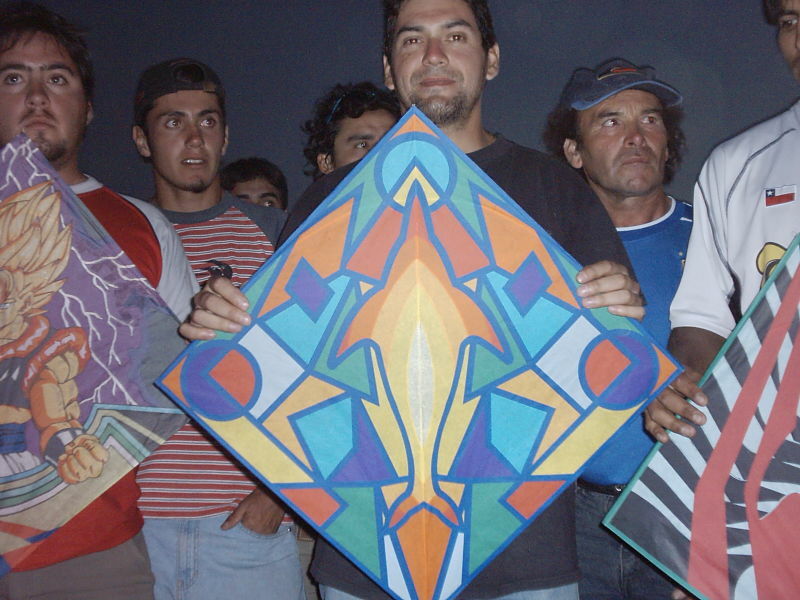 Here are a few photos of fighter kites, known as "cometas" flown in Chile. These are handmade kites, the skin of the kite is made from paper, and the spars are made from wooden sticks (similar to bamboo). 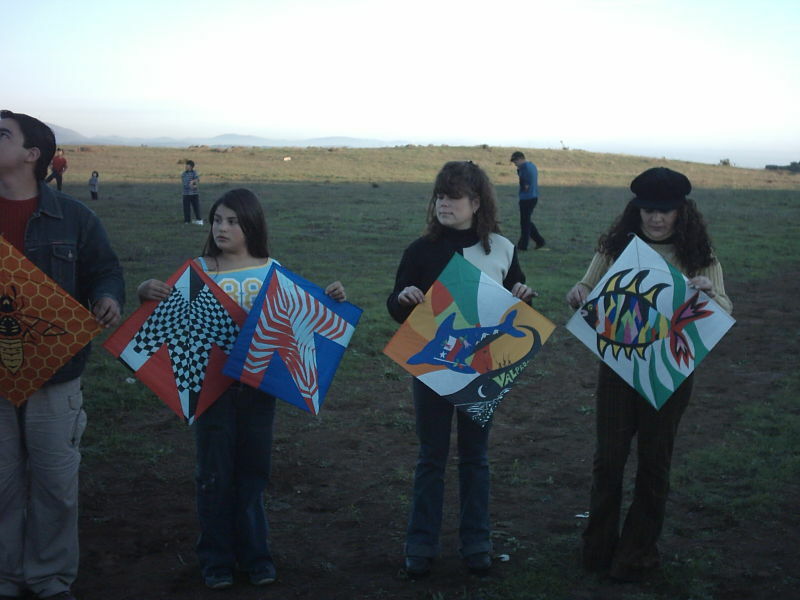 The kite line is coated with quatrz. Photo from the Inter-Regional Championship in Viña del Mar. [unknown flier] member of "Crossed Club". 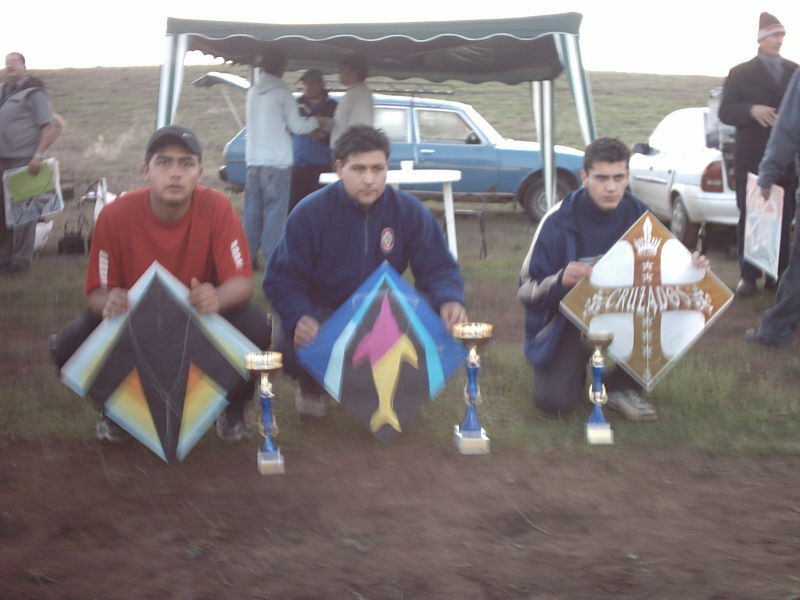 These Kites from "Club Flecha" took 2nd in the Inter-Regional Championship in Viña del Mar. 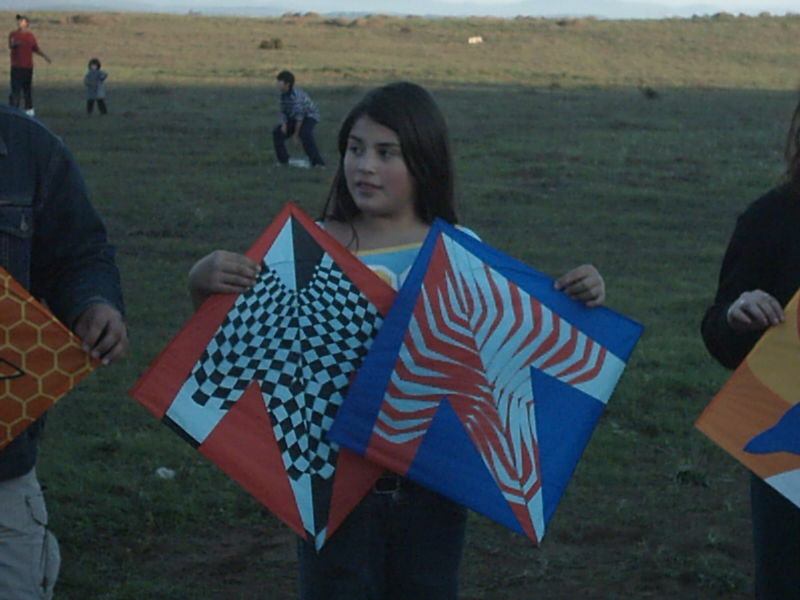 Beautiful kites! Made from paper. NOTE: Photos displayed with permission, and provided by Roberto Ricardo Milla Salas of "Club Arrow" from Rancagua, Chile. The CyberFighter Web site is Compiled and Maintained by Gina Hsiung.